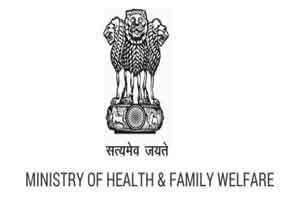 The National Coordination Centre for the Pharmacovigilance Programme of India (PvPI) under the Ministry of Health & Family Welfare, Government of India, has step up its web vigilance on pharma companies to report data on Adverse Drug Reactions. Oviya MedSafe, a global pharmacovigilance consulting and drug safety services providing organisation based out of Coimbatore, India and London, UK, has introduced a new reporting format of XML-E2B format to PvPI, under the joint supervision of Indian Pharmacopoeia Commission (IPC), and the National Coordination Centre for the Pharmacovigilance Programme of India (PvPI). The new office order (dated 18-May-2015 -effective from 01-Jun-2015) has been published on the Central Drugs Standard Control Organization (CDSCO) website. In order to put the assessment of ADRT administration in perspective, the initiative has been taken to hasten the process of uploading Individual Case Safety Reports (ICSRs) to VigiFlow, a web-based database of the WHO–UMC (World Health Organization – Uppsala Monitoring Centre). The support services are applicable for Indian as well as international pharmaceutical companies which market their products in India. As an integrated step forward for sustaining a close vigilance on pharma companies, this initiative can be considered to be very effective, as it involves all the stakeholders. This will enable individual pharma companies to share continuous data with PvPi, and help the healthcare and family affairs ministry to analyse the data in a cumulative manner, and share information further for all regulatory purpose.